An ancient Nordic name could imply that he’s a “Viking” of a dog, but the name “Sven” actually means “boy” and that fits this pup perfectly. Sven has rare and rugged good looks with a weather proof onyx colored coat. 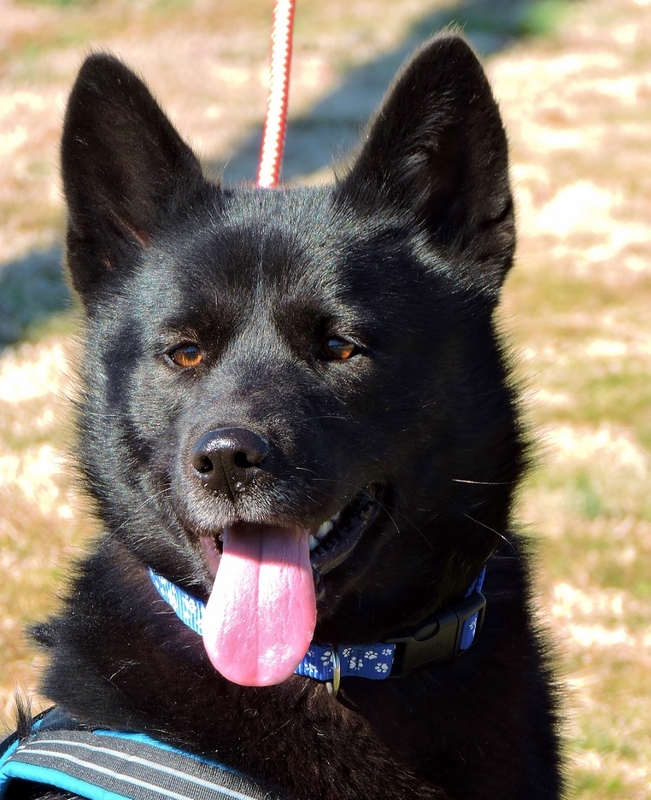 His mixed heritage of Siberian Husky and German Shepherd dog means that “athletic,” “intelligent,” “loyal,” and “playful” are words that just skim the surface of wonderful traits that describe Sven. He is only a bit over 2 years old and still has plenty of youthful spirit. His boyish charm extends into a friendly personality and Sven has always played well with children and other pets of all age and size. He has happily greeted strangers at events and would be a great companion for those looking to explore the wide world with a faithful friend at their side. Sven would thrive in a home with a fenced yard, and will require plenty of exercise and interaction to keep his mind sharp and engaged. He has all the makings of that special, unforgettable pet that can start you on the adventure of a lifetime. Ashton’s eyes mesmerize with a luminous green glow while his soft-focus coat melts into muted tones of dove grey. As if he padded right out of an impressionist masterpiece, Ashton is a one of a kind feline with a soul just as beautiful as his outward appearance. He loves seeing new faces and has lavished love on even the youngest of volunteers who have visited him. He is medium-sized with silky fur that whorls in waves. 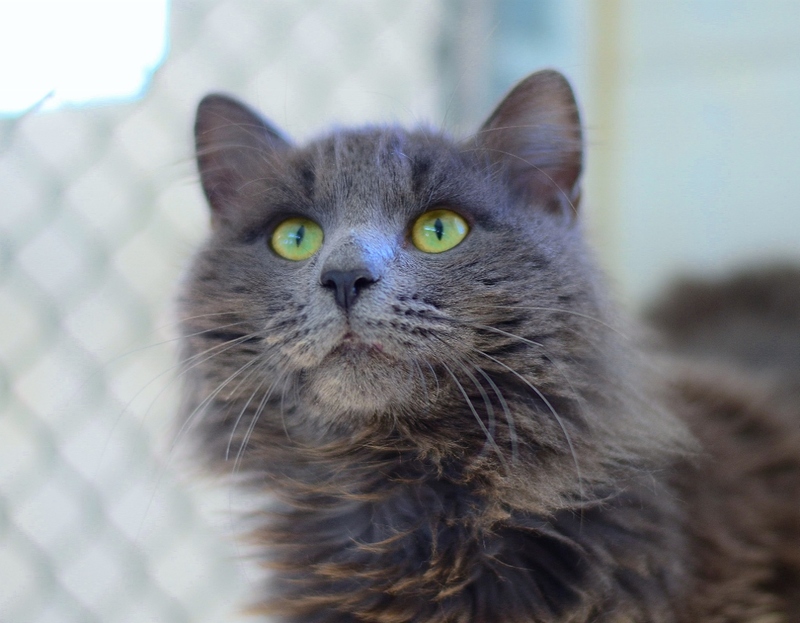 Ashton is 3 years old and aged to perfection, with excellent litter box habits and indoor manners. Although quite content to perch on a chair with you all day, he does look longingly out windows and would live happily in a home with access to explore an outdoor space like a breezy balcony or garden. This kind and cuddly cat is in need of a family with whom he can share his love. Ashton is a work of art and he is ready to become a priceless member of his forever home. Come meet Ashton today and fall in love with this stunning feline.